Located in the heart of Baltimore, the Inner Harbor hotel offers a convenient location for all guests visiting for business or pleasure. 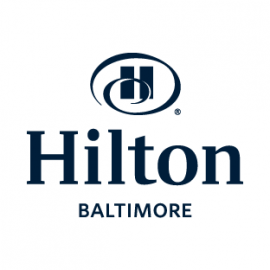 The hotel resides just 15 minutes from the Baltimore/Washington International Airport, is attached to the Baltimore Convention Center and adjacent to Oriole Park at Camden Yards. Hilton Baltimore offers 757 spacious guest rooms with natural lighting throughout. Each room features wired Internet, WiFi, large workstations and LCD HDTVs. Suites offer guests sweeping views of Oriole Park at Camden Yards and Executive rooms feature access to the Executive Lounge, where guests can find complimentary breakfast and evening hors d’oeuvres. The hotel has been recently ranked #17 on Cvent’s Top 100 Meeting Hotels in the United States. It offers 110,000 sq. ft. of flexible function space and two ballrooms with spectacular views and pre-function space. The hotel offers multilingual assistance and full catering services with seasonal and custom menus. 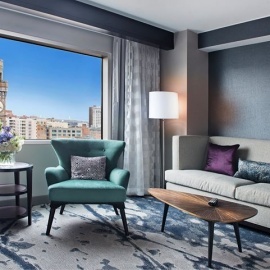 Whether here for business, quality time with family or exploring Baltimore, guests can make the most of their stay with the amenities and services they deserve.